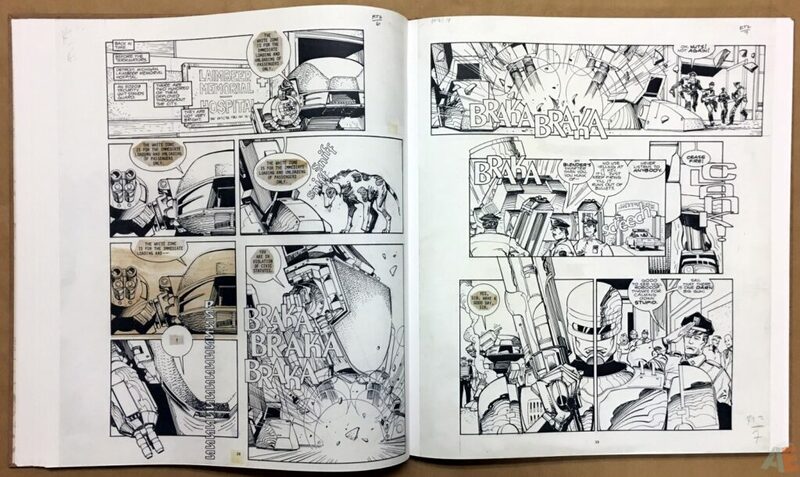 One of the most beloved comics crossovers of all time is back to usher in Dark Horse’s new gallery edition format—reprinting Walter Simonson’s original art exactly as it appeared on his drawing table twenty years ago! 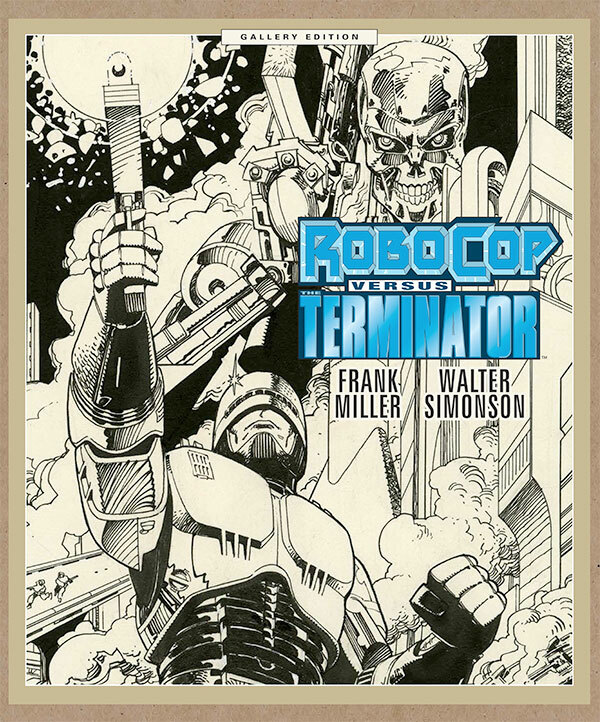 Relive Simonson and writer Frank Miller’s seamless blend of the RoboCop and Terminator worlds while marveling at the sheer virtuosity of Simonson’s draftsmanship in all its original glory. 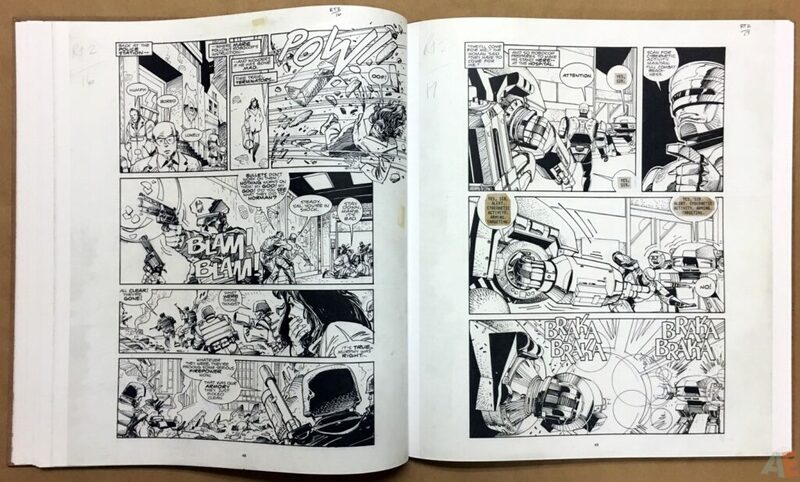 In addition to the full story, this edition provides the greatest insight available into Simonson’s process, with pages of his original pencils and promotional art faithfully reproduced, along with a revealing foreword by the artist himself! 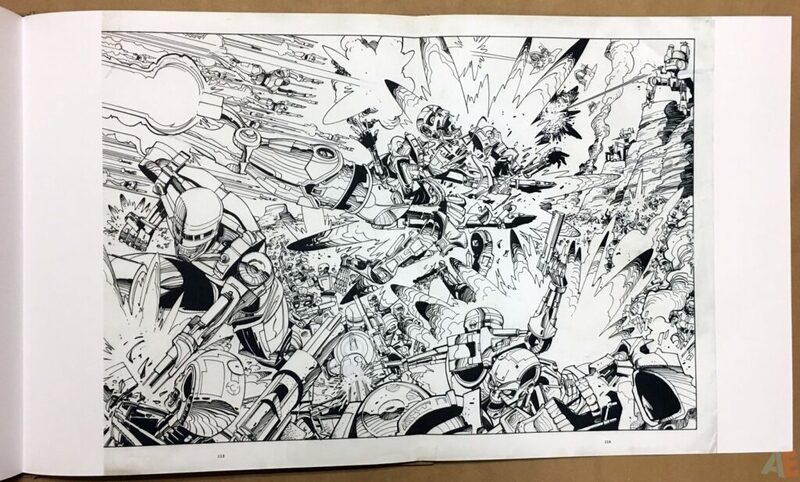 Reproducing Simonson’s original art at full size! 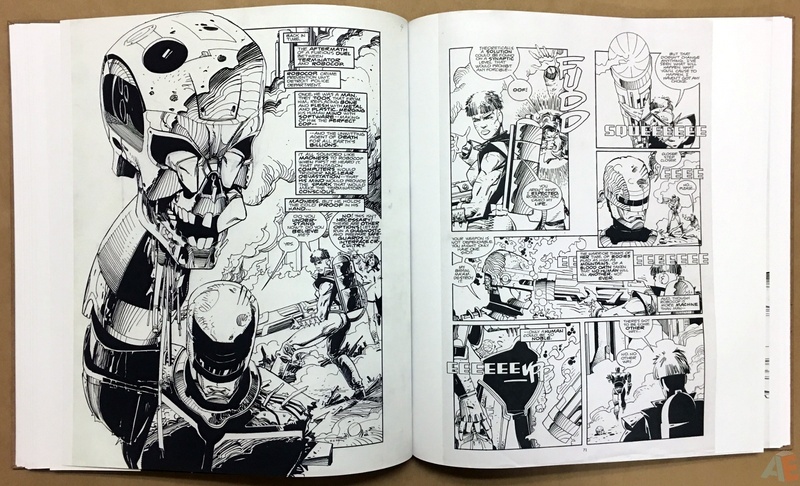 Features additional promotional artwork and copies of Simonson’s pencils! 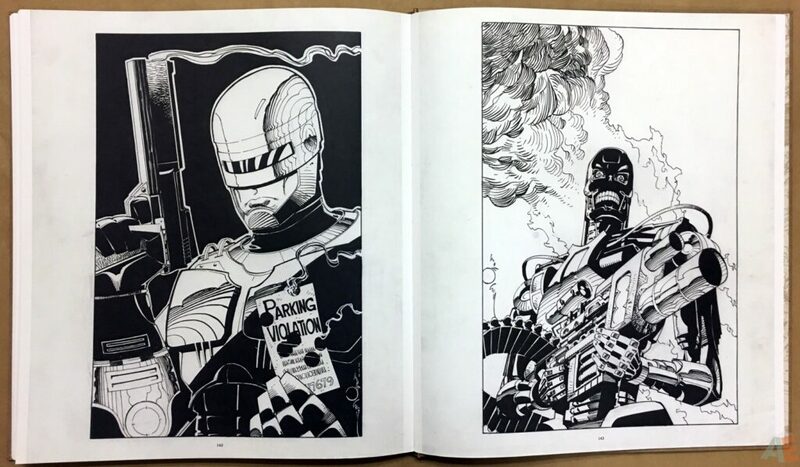 Dark Horse’s first foray into the Artist’s Edition market, Robocop Versus The Terminator Gallery Edition hits all the right notes. 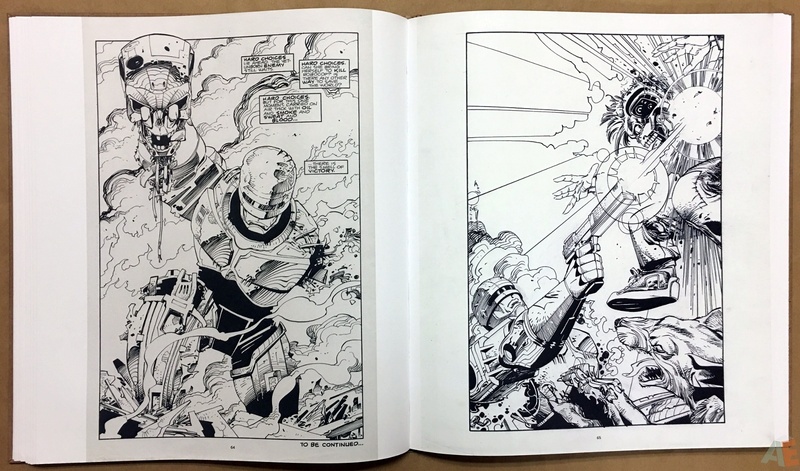 A competitor stepping into the ring with IDW, Dark Horse launches their Gallery Edition line of Artist’s Edition style books with a work by Frank Miller and Walt Simonson, so far the most reprinted artist in original art style books with Titan’s Alien and IDW’s Thor and soon to be released Manhunter. 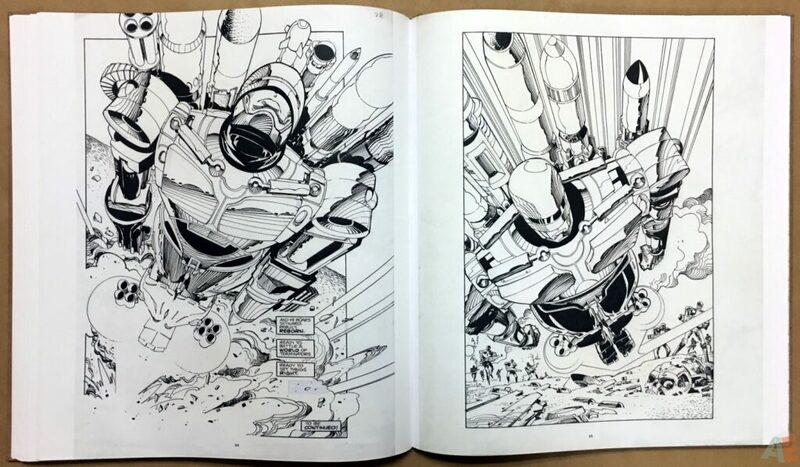 Simonson is a great choice as the artist has kept almost all of his original artwork and has it available for reprint. 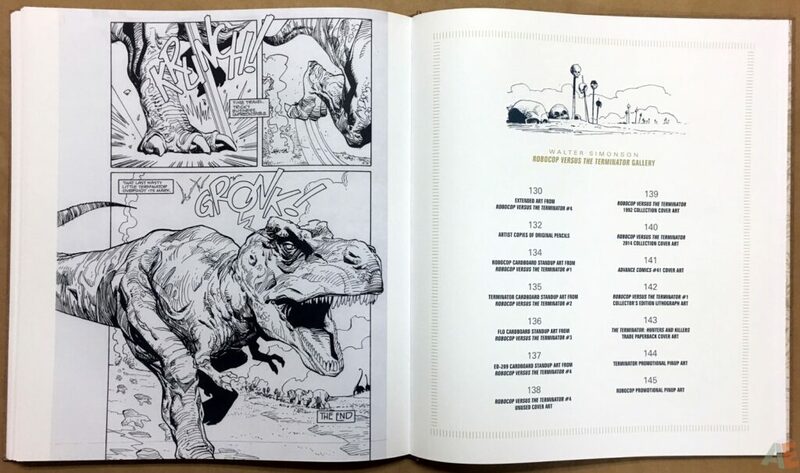 Let’s address that very odd book size of 15″ x 17″. 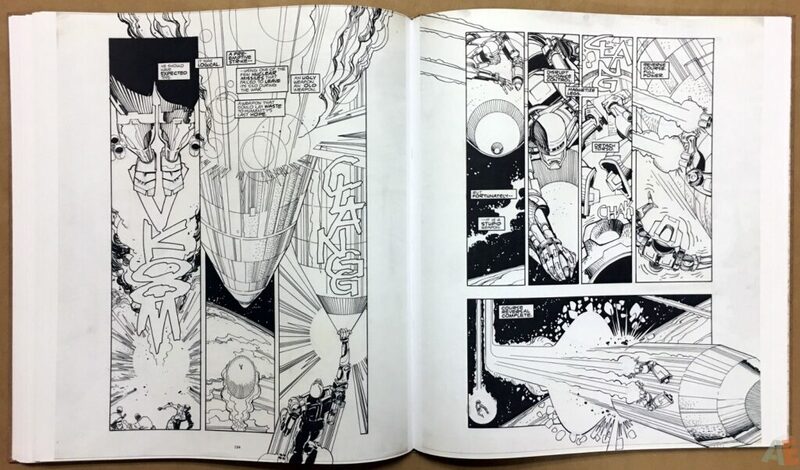 This book is a scan of the original art pages and they are very wide with varying left and right margins. 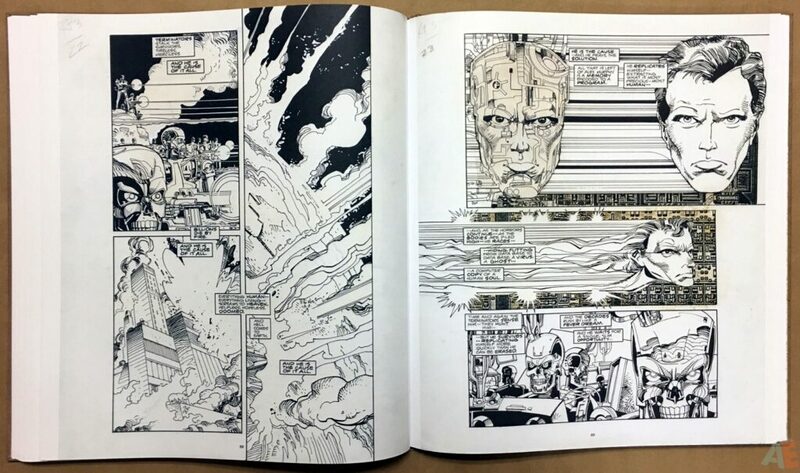 Simonson addresses it in his forward. 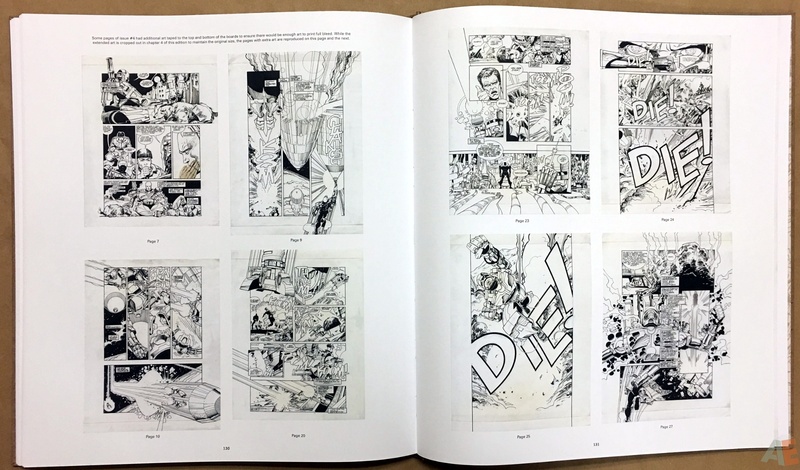 Back then, the use of bleeds in comics art–that is, allowing the drawing to run off the edge of a page–was relatively new. 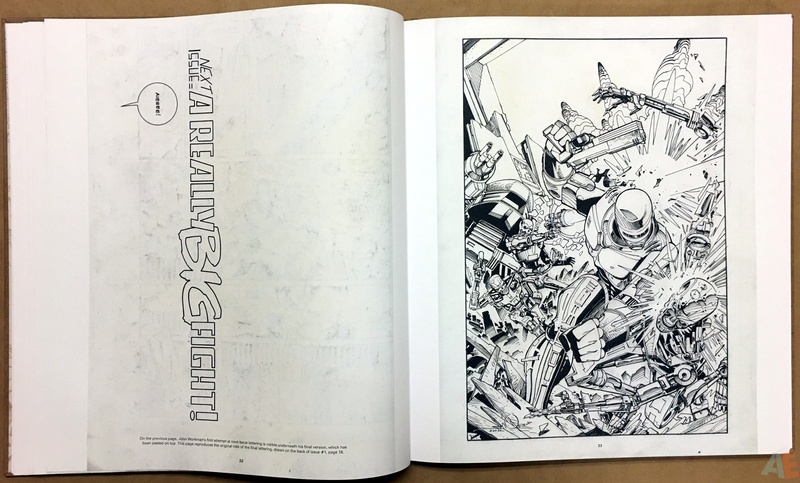 The industry had not yet arrived at a standard size for original art to encompass the extra drawing required for full-bleed artwork. Artists found their own individual solutions. 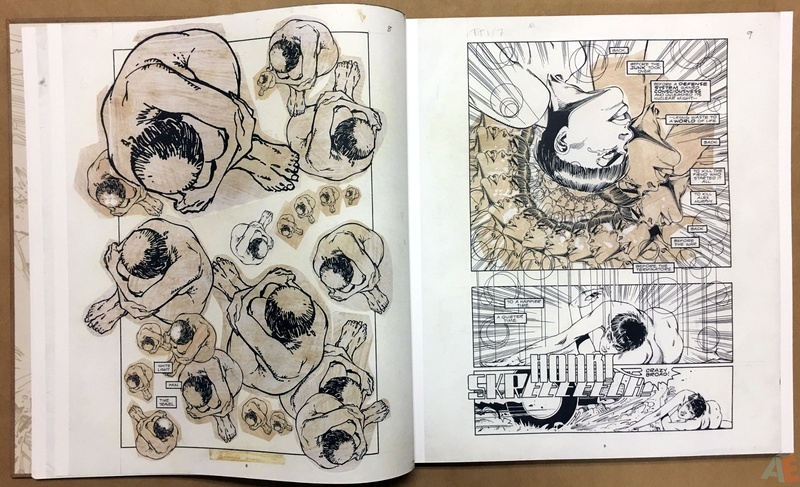 So some of my pages are a bit large, as I extended the artwork quite a ways out to make sure that panels would bleed properly. 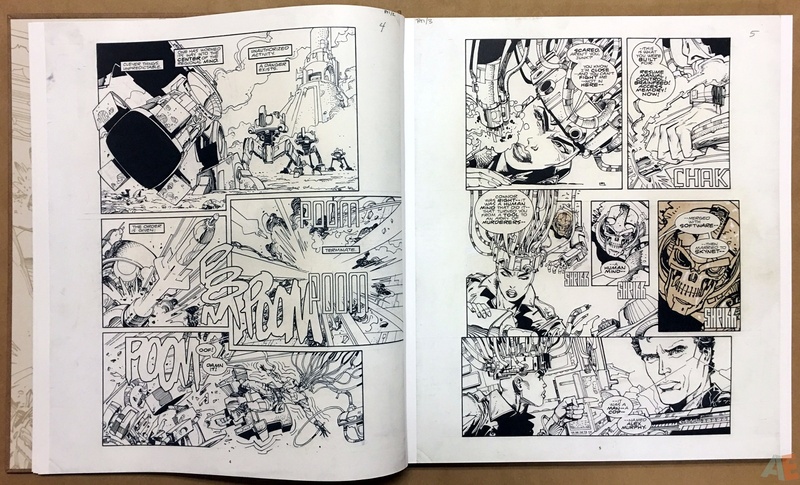 All but three pages are from original art pages and the three missing are printed from copies of those original pages so it’s pretty complete. 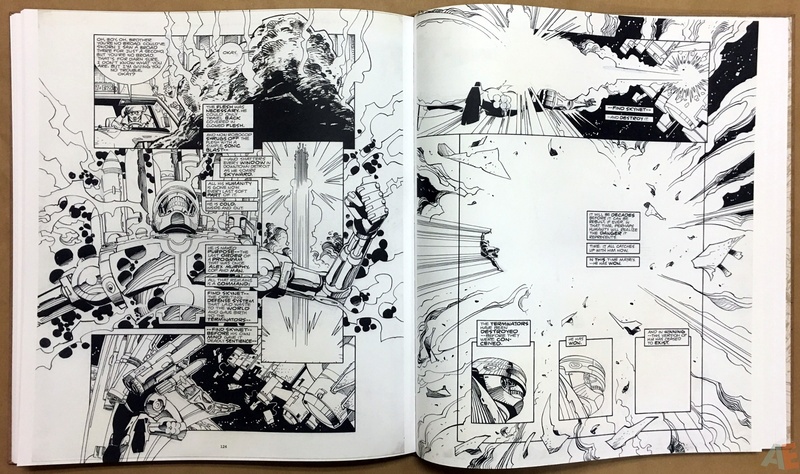 Since this is a complete collected story readability is 100 percent. To make reading easier page numbers have been added when space allows in the bottom center; a few full bleed pages they didn’t have space to add the page number. 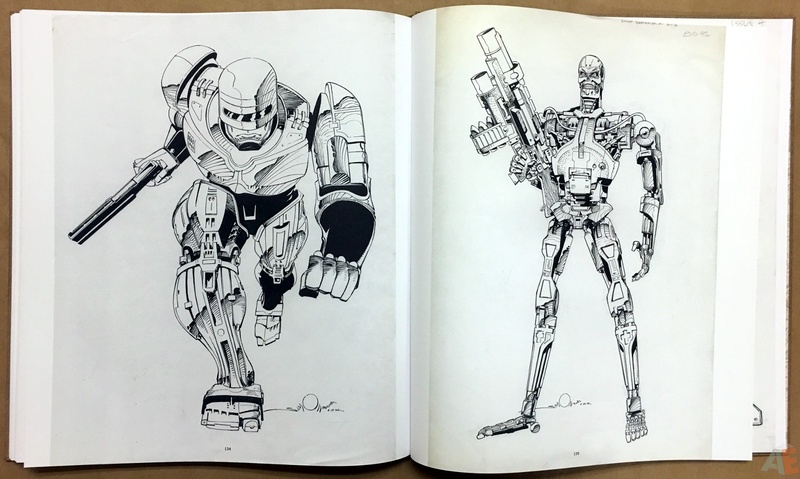 It’s a simple but appreciated addition; IDW, please add to Artist’s Editions. 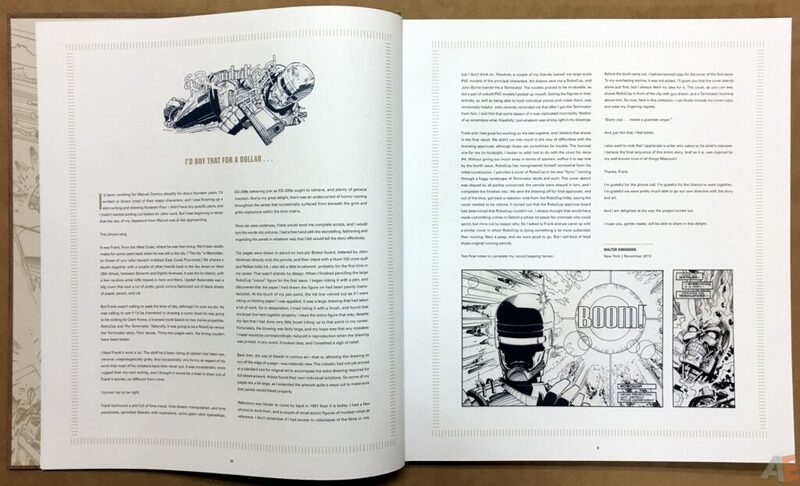 As well the covers are integrated into the story just where they should be. Beyond the story there is an extensive gallery of additional art covering covers, promos, pencils and extended pages. 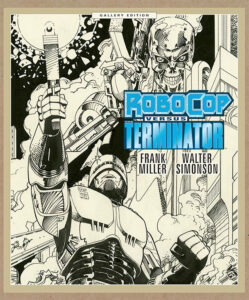 Plus Simonson’s forward and a last page biography of the creators. 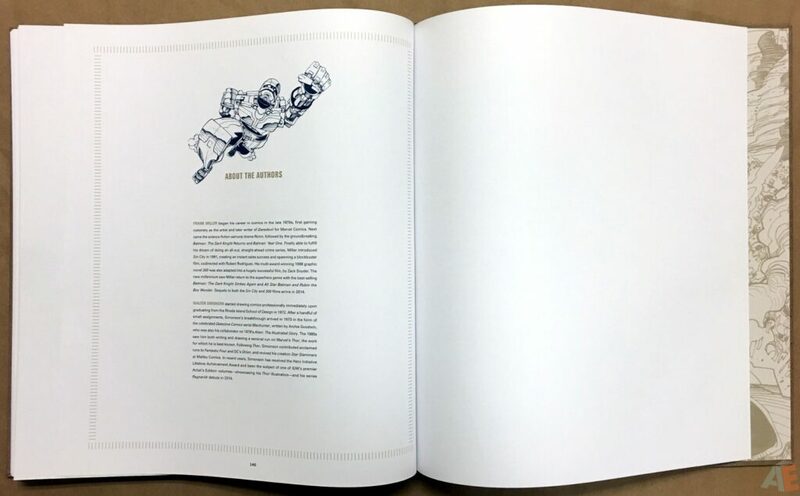 The book is well constructed with sewn binding that easily lays open at every page. 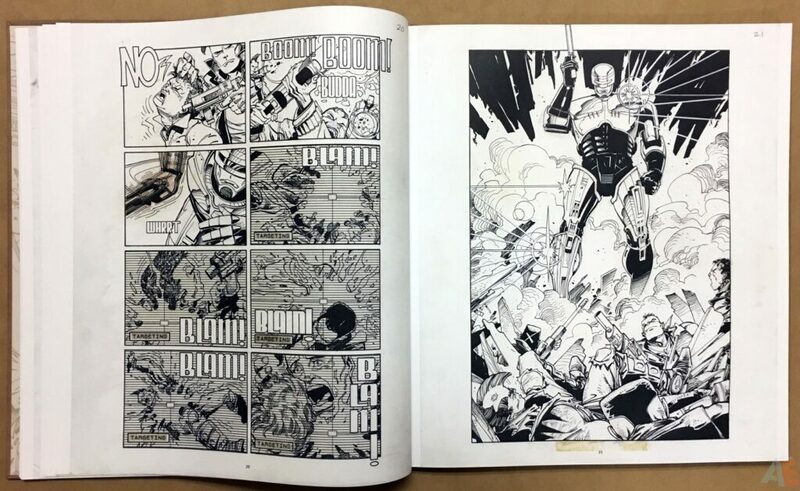 Paper stock is thick with no bleed through. Design is clean and simple; not much embellishment. For some reason the price and bar code are on an irregularly cut sticker on the back of the book. 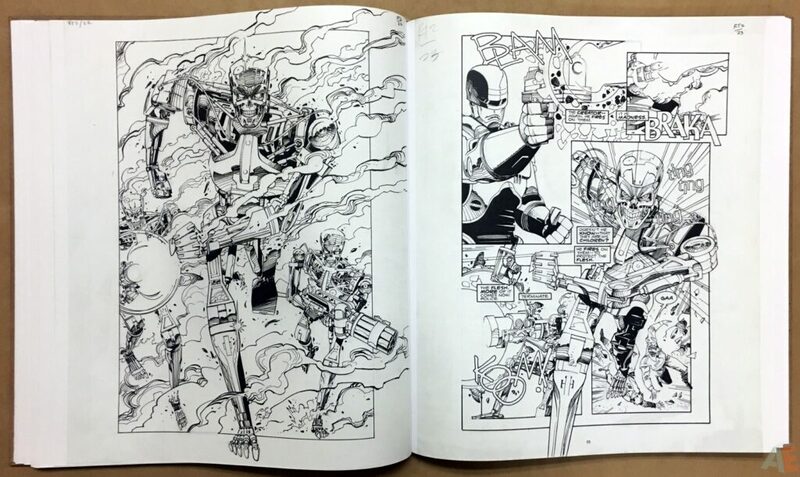 Since IDW is the current leader in this type of book a comparison is natural. The paper stock and binding are extremely similar, scanning and finish close as well. It’s what you would expect from an Artist’s Edition, only from Dark Horse. 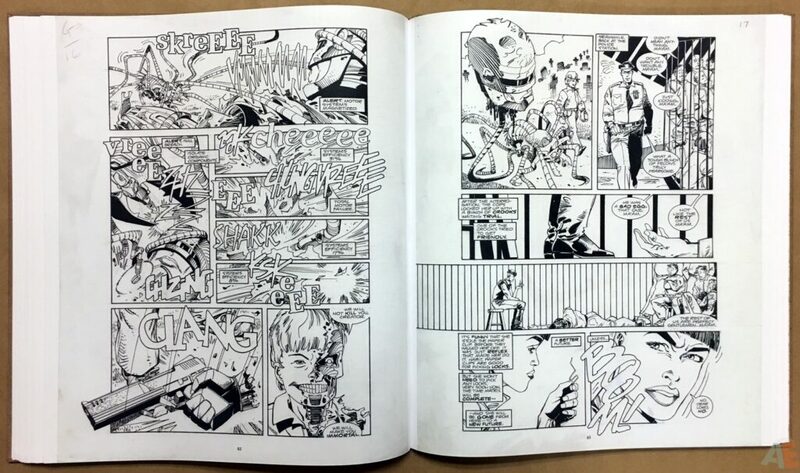 The addition of page numbers and cover integration are small touches that enhance the overall experience. 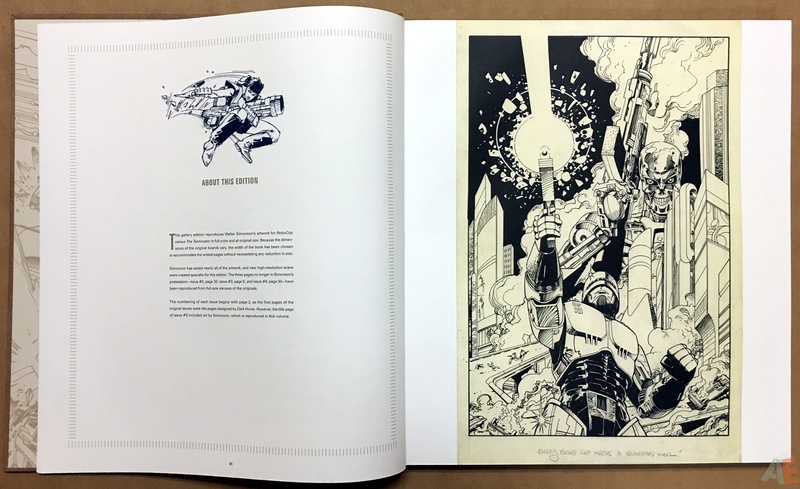 Plus it’s a regularly solicited book and therefore part of the overall supply chain showing up at all Dark Horse retailers including Amazon. 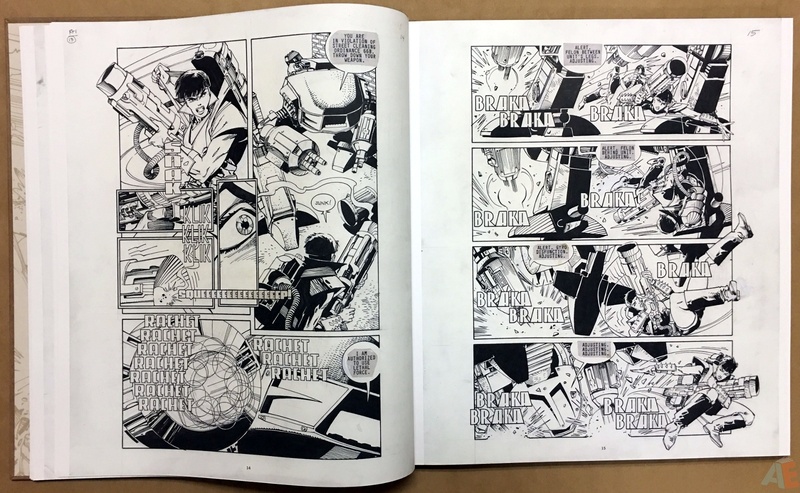 Comic shops get their normal discount when ordering, which allows for standard and uniform pricing across the board and corrects IDW’s glaring problem with Artist’s Editions. 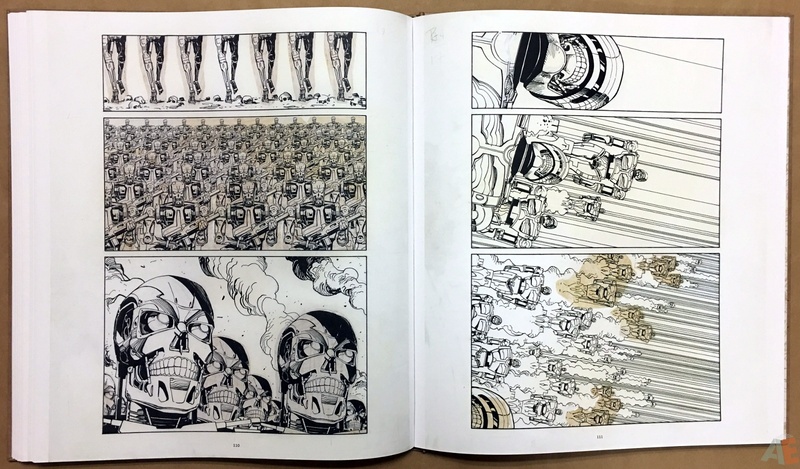 Based on this volume and two advance solicitations Dark Horse will only be doing Gallery Editions of material they printed. 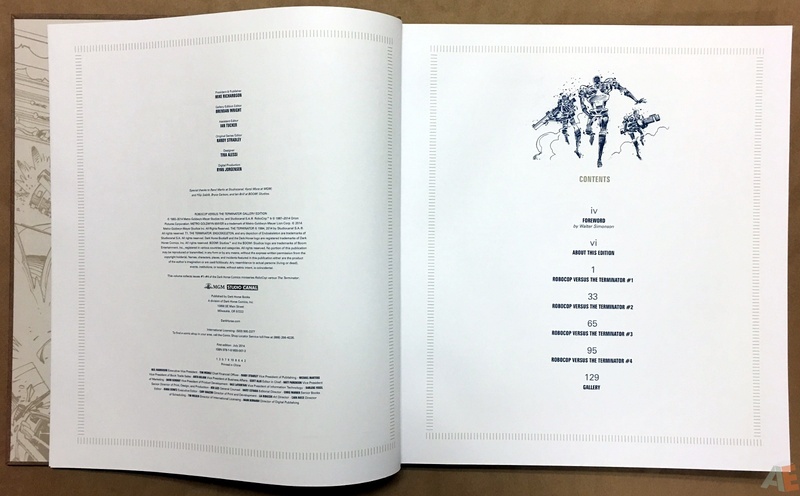 That’s a strong catalogue and a path DC is taking as well with their Gallery Edition line; surely they noticed Dark Horse was already using that title?